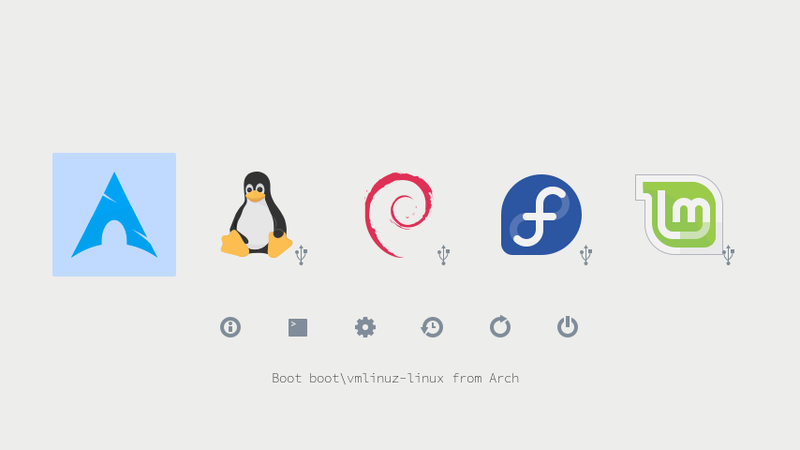 This article is aimed at distro hoppers who like to install multiple Linux distributions to their system drive and to be able to replace them with minimal effort when new ones come along. This is written especially digital artists and Blender users in mind. However, this article is only about the modern motherboards that have a UEFI BIOS. Required skill level: pretty much a beginner. If you’re anything like me, about every six months you get the urge to wipe your system-disk and start from scratch and see how the latest Linux distributions have developed and if this time some other one suits you better than your current favorite — while trying to do all this in quick, predictable and optimized manner, not spending hours and hours for setting it all up. I wrote this article mainly for me to remember the steps of how this was done — but perhaps it can be of some help for someone else, as well. My intention is to keep updating this article over the years as I install new distros again. If you’re new to the Linux world, I wrote a short article for you about What is Linux? 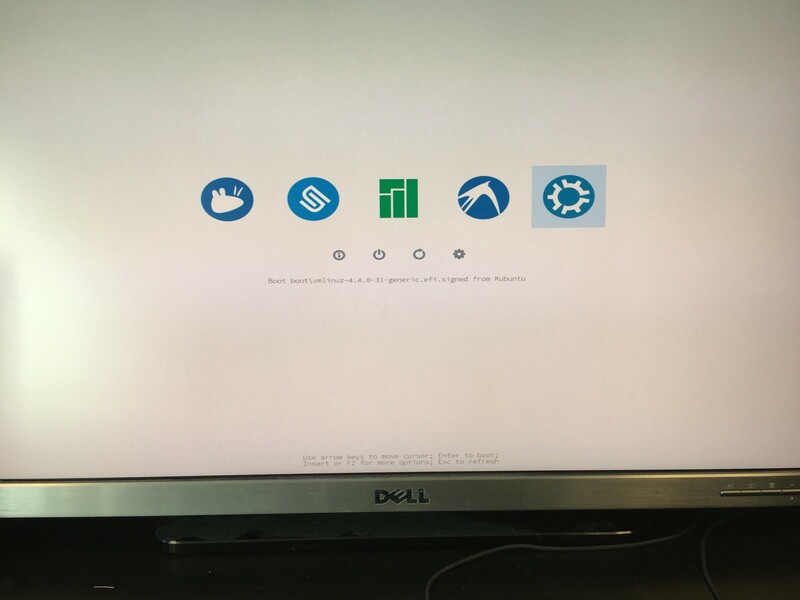 Why a multi-boot of 5? Simply put, to try out and experiment with new constantly developing distros while still keeping the stable working favorite ones available in order to get some work done. When installing a new distro, the most important thing I’m looking for is to have CUDA available in Blender’s settings as easily as possible in order to enable GPU rendering (using your graphics card to render instead of the processor, crazy fast). More about this in this article I wrote: Installing NVIDIA drivers in Linux. 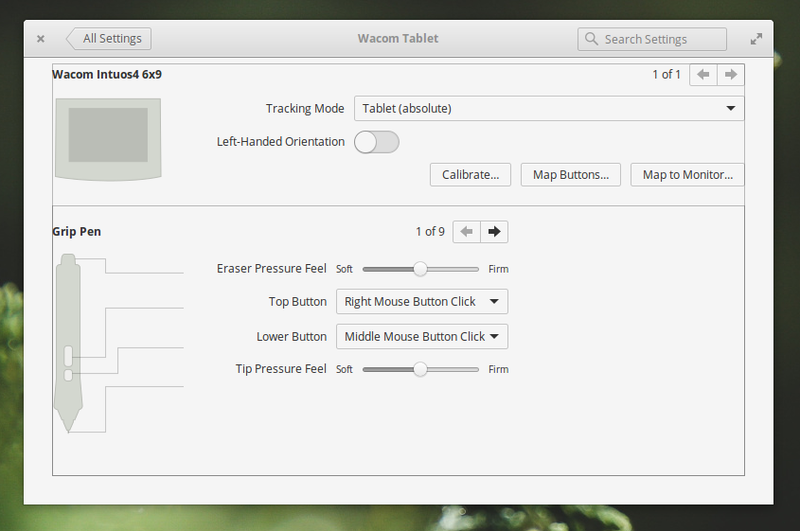 Another feature I’m looking for in distros is the support for a Wacom tablet. 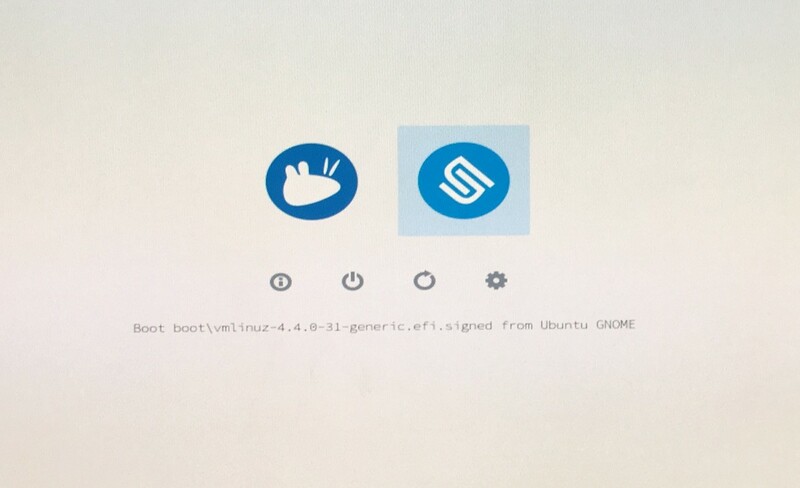 So far in my personal experience Ubuntu, Ubuntu GNOME, Zorin OS (12 Beta), Elementary OS and Solus have a good and working Wacom config panel available straight away. However, I personally don’t see this as a huge deal breaker because I only need to map Wacom on a particular monitor and to disable the touch feature. Both of these can be handled with a couple of small startup scripts. They can be found in this article I wrote: Simple Wacom scripts. If you’re not familiar with the Terminal, I listed some basic commands here: Learning some basic terminal commands. Just the basic things. Linux usage has the tendency of being quite technical and anti-user-friendly, and that can sometimes get on the way of getting some work done. My plan was to have 5 different Linux distributions on my system and to be able to ditch and replace any of them without affecting any of the others or the boot manager. The Plan: the Refind boot manager and some easily switchable distros. In addition, I keep a handy Workflowy list of my favorite terminal commands and installing instructions and a Dropbox account with my application settings helping to set up a new distro in no time. 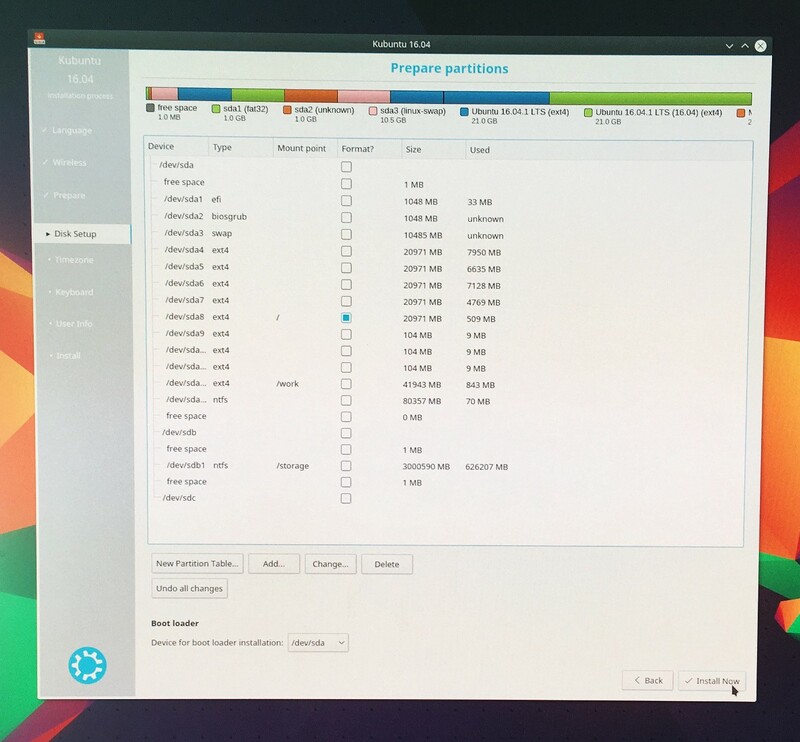 Furthermore, I didn’t want a shared /home partition because problems started to emerge when I was constantly switching distros and different settings were overwriting each others in /home. Also in some distros I like trying out new stuff, experimenting and tweaking a lot, and those settings should affect only that particular distro, not the others. My typical behavior is to save any files I work on away from where the operating system was installed. I use separately made /work and /storage partitions for that. That’s so that I can freely wipe the OS partition at any time without having the feeling that I have left anything important there. More about my working methods and backing-up/archiving habits in this separate article I wrote. Without knowing any better, for my previous configuration I had just thrown my system SSD hard drive onto a random SATA port in the motherboard. That caused my secondary 3TB storage drive to be displayed as the first disk in my UEFI BIOS instead of the main SSD system disk. 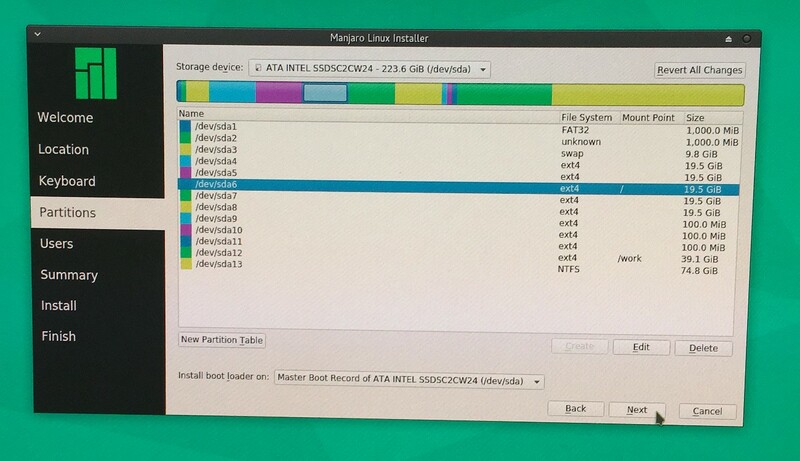 So when it was time to partition the system disk and install an operating system into the SSD, it was seen as /dev/sdb (the second hard drive in the computer) instead of /dev/sda (the first hard drive in the computer). It was a bit annoying, even though it was pretty much only a cosmetic thing. The “dev” in /dev/sda means the devices directory. “Sda” means SCSI disk A. So, firstly, I made sure to put the SSD into the physical SATA port number one in the motherboard. 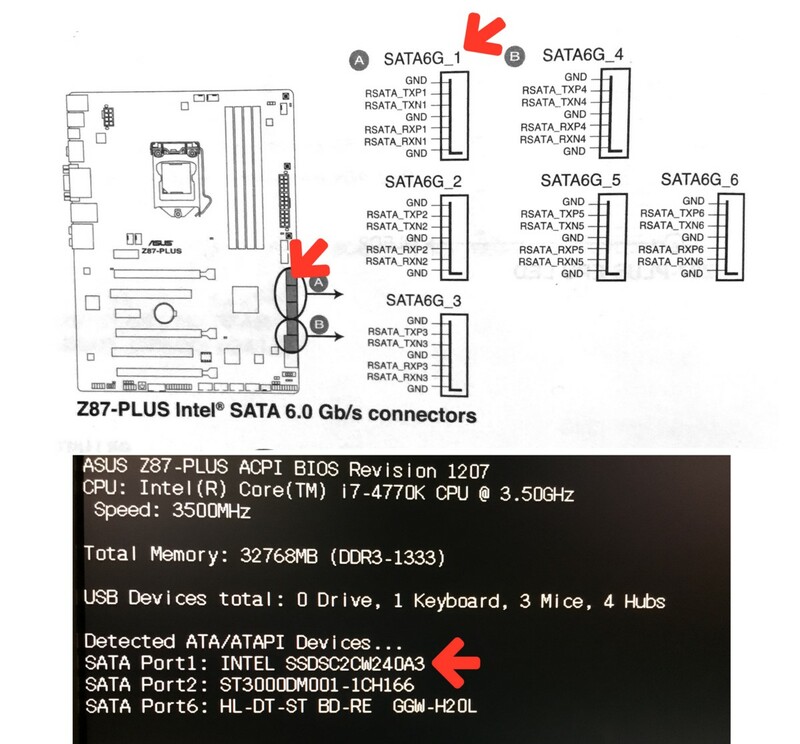 Upper image on the left is from the motherboard’s manual, lower image from the boot sequence, showing the SSD disk being in SATA port number one. 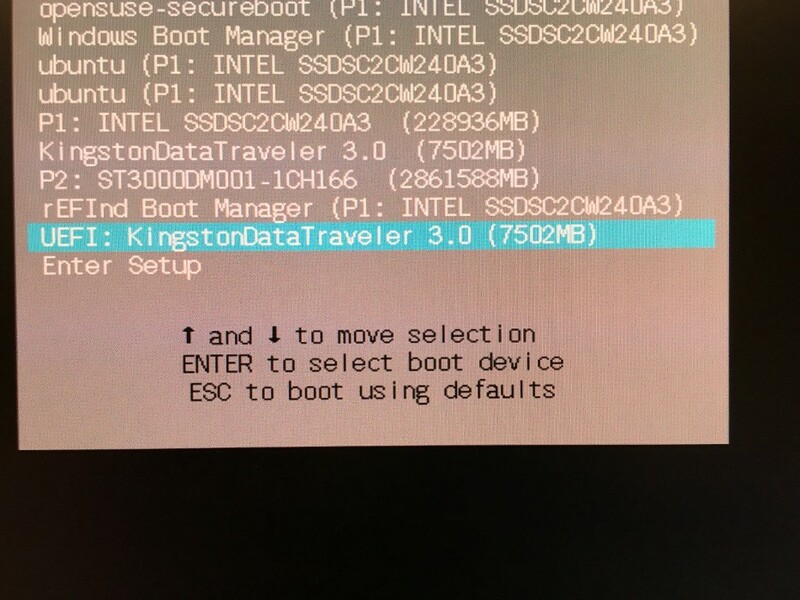 Secondly, in the UEFI BIOS I made sure the system disk is the first one to be booted (one of those “INTEL SSD…” choices). 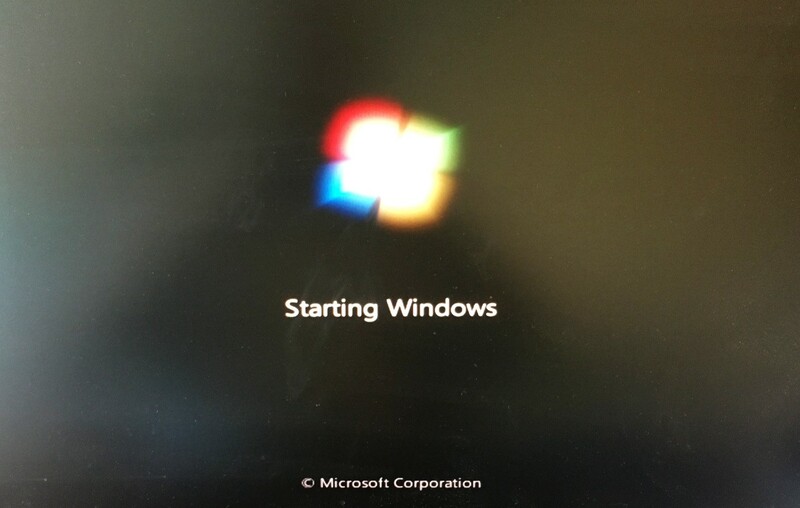 Thirdly, in UEFI BIOS there was this ‘Secure boot’ option that had to be switched to the ‘Other OS’ option in order to install something other than only Windows to the computer. Then, I download and check the .iso’s (Here’s an article I wrote about that). 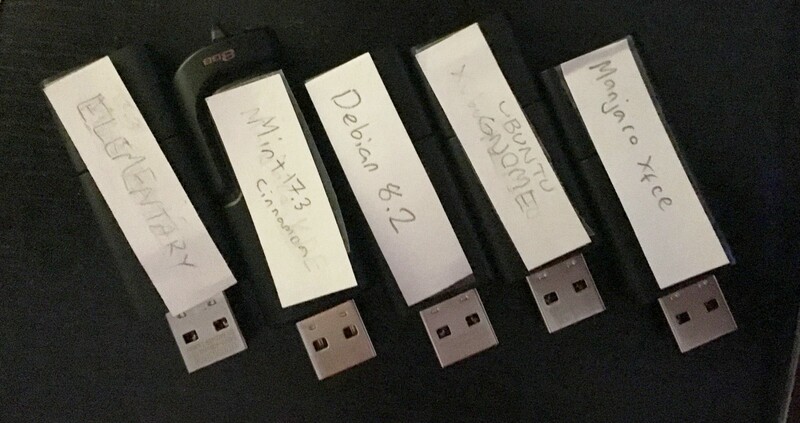 And after that I make some bootable USB sticks (Here’s an article I wrote about that). 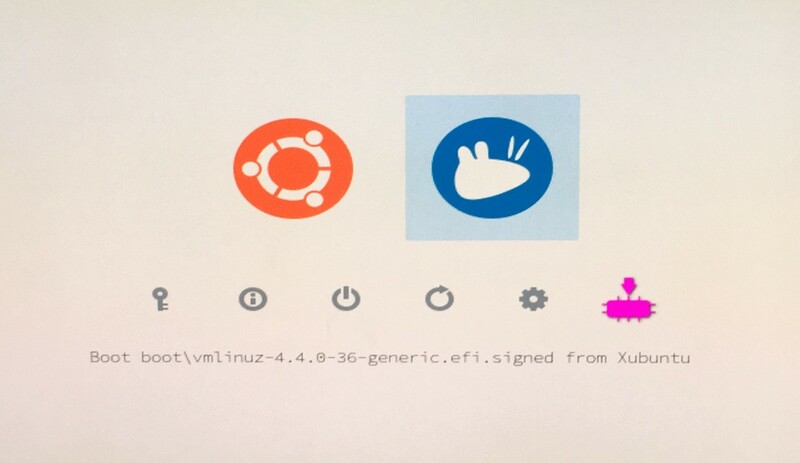 I used Xubuntu as the first operating system on my system disk. I’ve used it a lot, I’m very familiar with it and it’s one of my favorite distros. 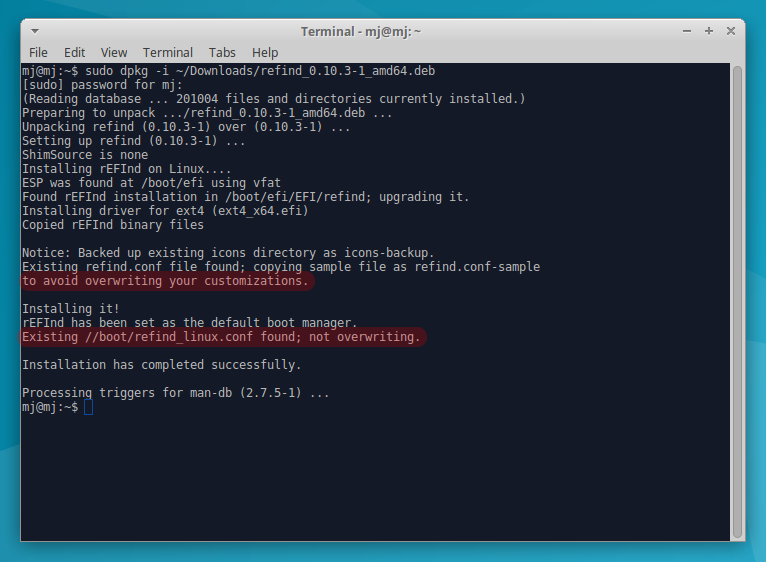 It’s also Ubuntu-based, which makes it easy to run the Refind boot manager’s installer .deb file whenever needed. Naturally, you should have all your data backed up either on another physical disk or an external hard drive at this moment. I’m using a partition utility called GParted for handling the system hard drive partitioning. 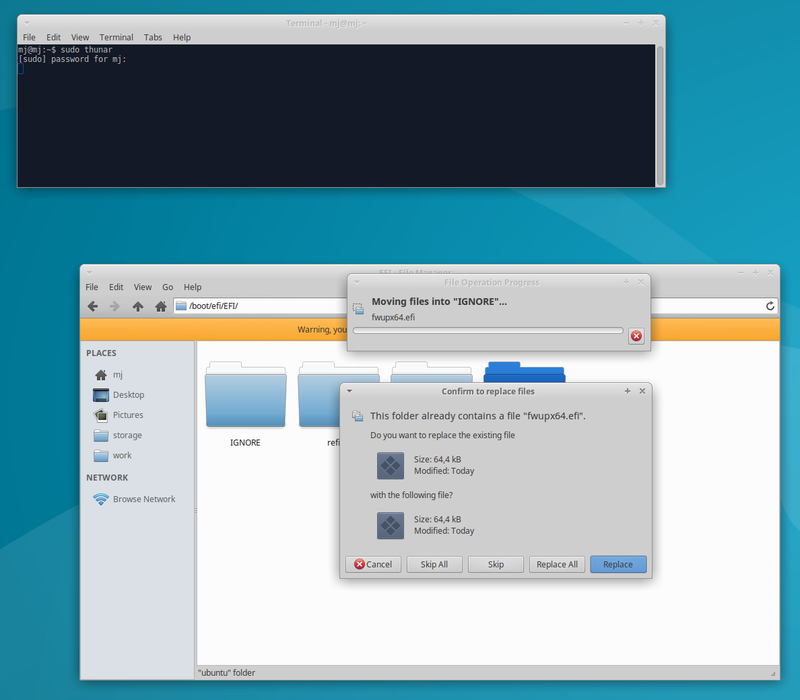 It comes nicely bundled in Xubuntu. 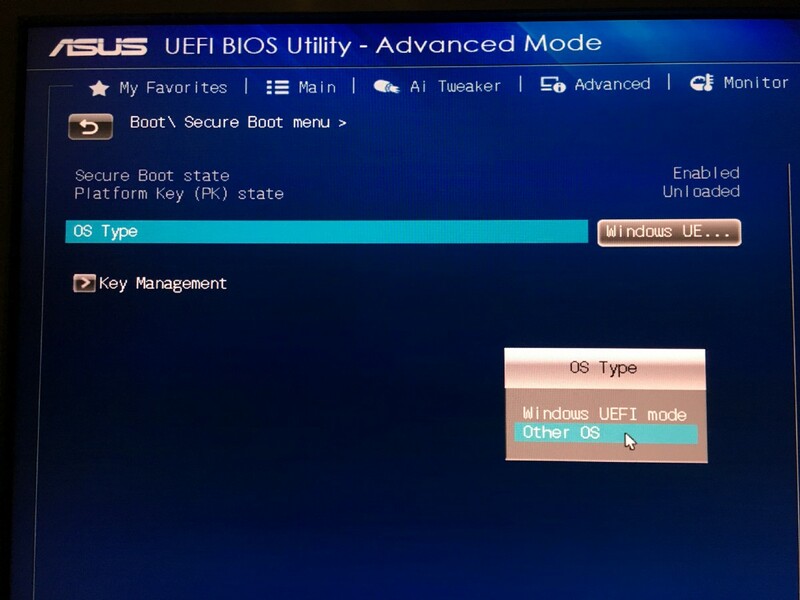 UEFI BIOS boot menu, by pressing F8 during boot. Selecting the USB stick. 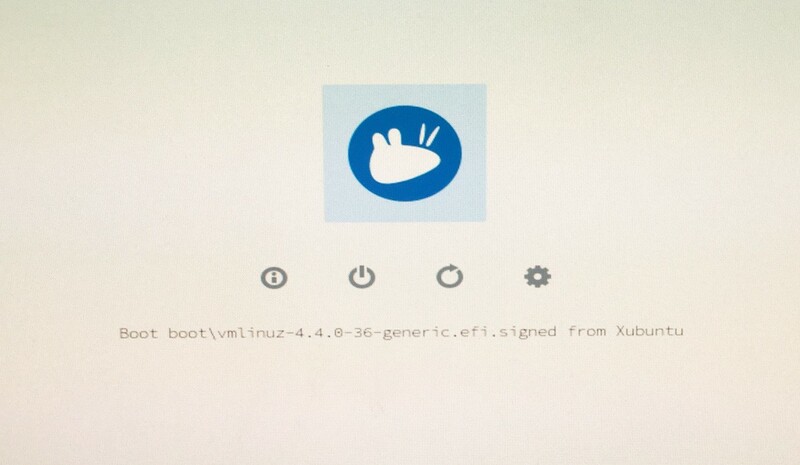 So first, boot from the Xubuntu USB stick. 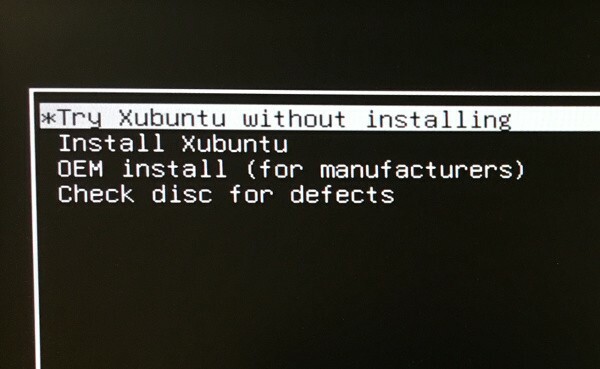 Pick the ‘Try Xubuntu without installing’ option. 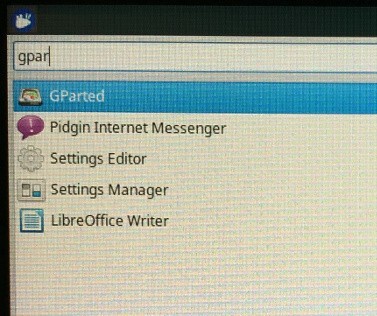 Then, in Xubuntu, I press Ctrl+Esc to open the Whisker-menu, type GParted and launch it. I had some kind of a notification when opening GParted, which I decided to ignore. Wiping the whole system disk and creating a new GPT partition table for it. The whole slate is clean! The most important step here is to make the first partition (/dev/sda1) as an EFI System Partition (ESP). This is where the brains of the system booting will eventually go, the Refind boot manager. In my first tests I made it less than 100 MB in size, but on my later partition setup I made it 1000 MB because I noticed some distros like Deepin need more than 100 MB for the EFI partition. 1 MB of free space will be created automatically out of the first partition you create. It’s for SSD alignment, which is important for keeping the SSD speeds up, I was once told. 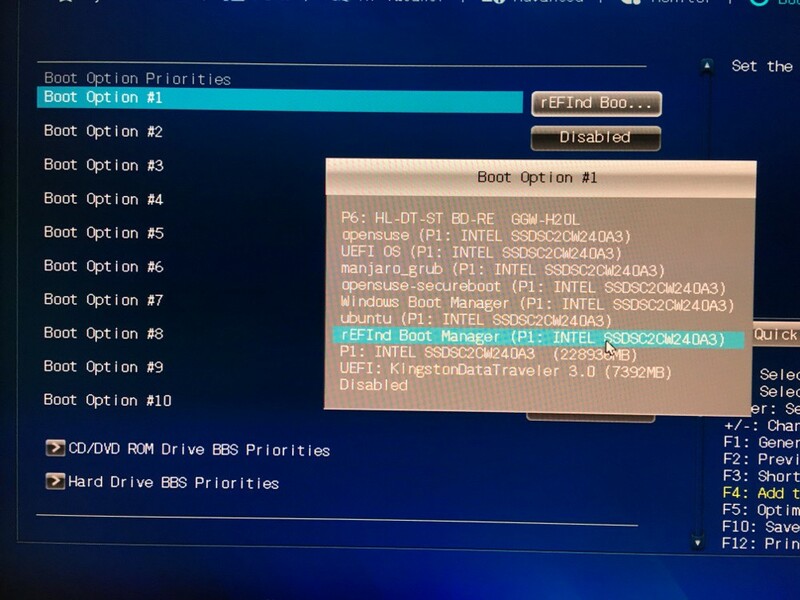 The second bios boot partition was required by some distros, like Fedora. I left it unformatted for now, but in future I might need it if I install Fedora. It could’ve been left way smaller, like even 1 MB (see below the Fedora message image), but I went with 1000 MB, just in case. Naturally, this can be also resized afterwards, if needed. Currently the partition number three is for swap. Normally you might not even need it, but, for example, if I happen to make way too heavy 3D particle grass fields or sculpts that use more RAM than 32 GB to render, I am definitely going to need it. It’s easy to expand it larger later if needed. Fedora required the biosboot type of partition. Swap also seemed to be mandatory. In my previous tests, it also seemed Fedora specifically required a swap partition in order to continue its installation. However, now when I think of it on a later thought, Windows might have been better on the partition number 4, because it won’t be getting moved, like I often do with the distro partitions. 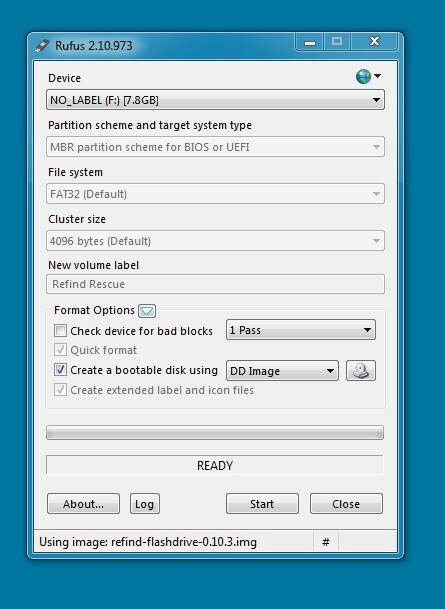 Also creating more partitions for more distros to the end of the SSD wouldn’t cause any problems for the partition numbering. I created 3 extra 100 MB partitions (#9, #10 and #11) if I want to install more than five Linuxes to the system. I just expand one of them and install into it. 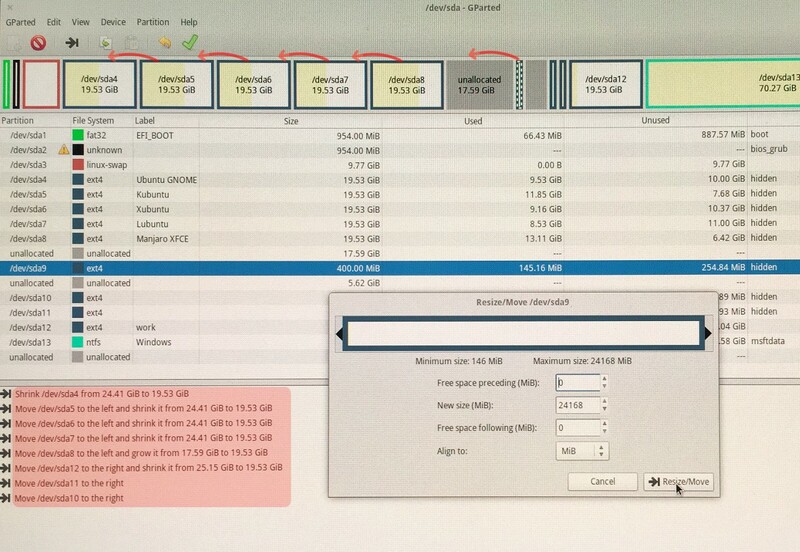 I often move, expand and shrink my partitions on the go afterwards (it surprisingly has always worked, even), but never change their ordering or create new ones into the middle, that might cause some serious issues. More about this in the section 10 of this article. 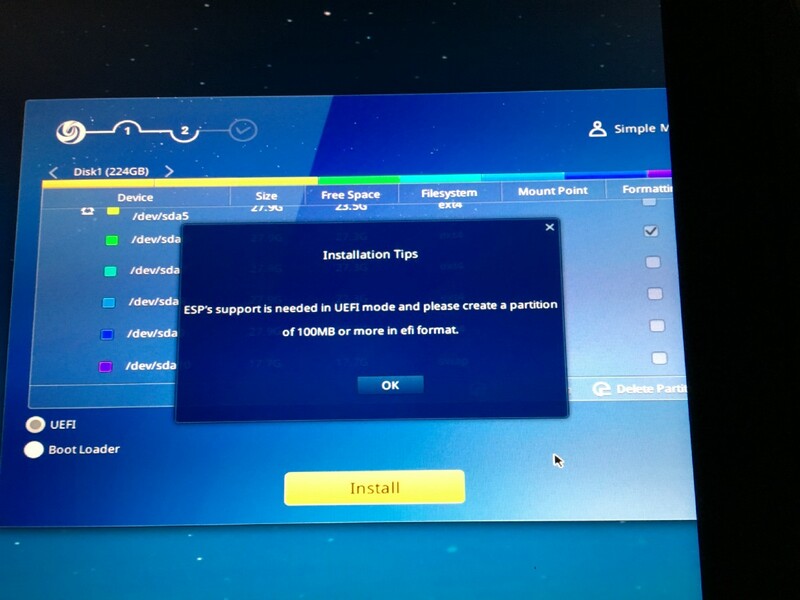 When the partitioning was done, it was crucial to remember to mark the boot flag for the first EFI boot partition before installation (the esp flag gets automatically marked as well), otherwise the install fails, like it did for me (image on the left). I also marked the unformatted second partition with a bios_grub flag for Fedora. Not sure if this was needed, though. After applying all the operations, it was time to start the installation of Xubuntu. I wrote here more detailed instructions for those who would like to have them: Installing Xubuntu. For the ‘Device for boot loader installation’ section I always will choose /dev/sda in all of my distro installations. It’s going to be used for the first boot but after that it’ll be overruled by installing the Refind boot manager. Then I continued the installation normally and finished it. After the installation was finished, I noticed I can’t make folders or files to the root of the /storage or /work partitions. So, I went to the newly installed Xubuntu and started a terminal window via Ctrl+Alt+T. In some other Linuxes the terminal shortcut might be something else. If you want to know more about my ways of configuring, I wrote a separate article about setting up Xubuntu after installation. Download the latest version (0.10.4–1 at the time of writing this article) of Refind .deb file from here. For copy-pasting these commands easily, you can either normally select the command via mouse cursor or you can triple-click the command (or somewhere in the gray area) to select it all, then Ctrl+C and Ctrl+Shift+V it to the terminal. By the way, did you know this about triple-clicking? This will download the refind_0.10.4–1_amd64.deb to your Downloads directory. Download a different one for your non-Debian based system. And so, Refind is installed. Here are some Refind themes I found from GitHub. 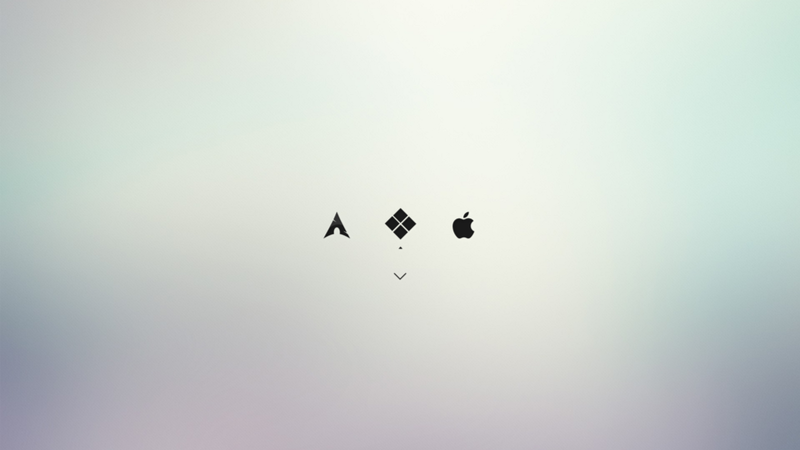 Before installing, check from the link if it has all the icons for the distros you’re going to use. I use the above theme Regular for this example. By doing the above lsblk you can see if the sda1 partition has been given the mount point /boot/efi. # Hit Page Down until you reach the end of the document. # Quit Nano with Ctrl+X. # Save the current document by pressing Y and Enter. # If you made any mistakes for some reason (there's no undo as far as I know), it's recommendable to quit Nano with Ctrl+X and answering no and starting from the beginning. By pressing Ctrl+Shift+N make a folder called “IGNORE”, for example. 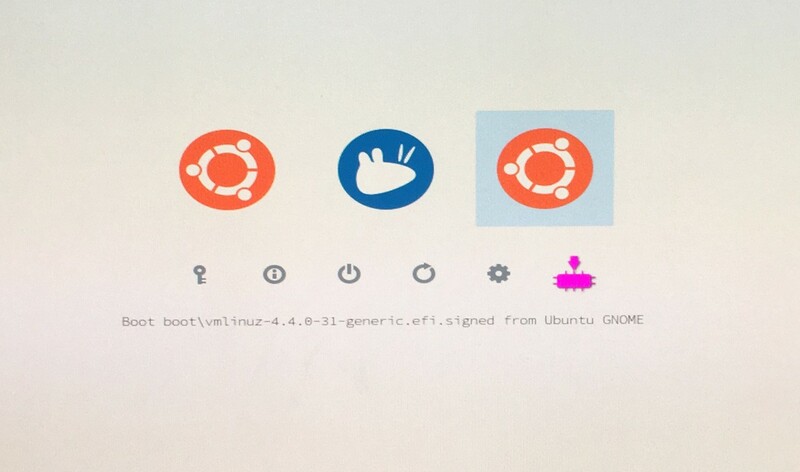 Move the ‘ubuntu’ folder into it. 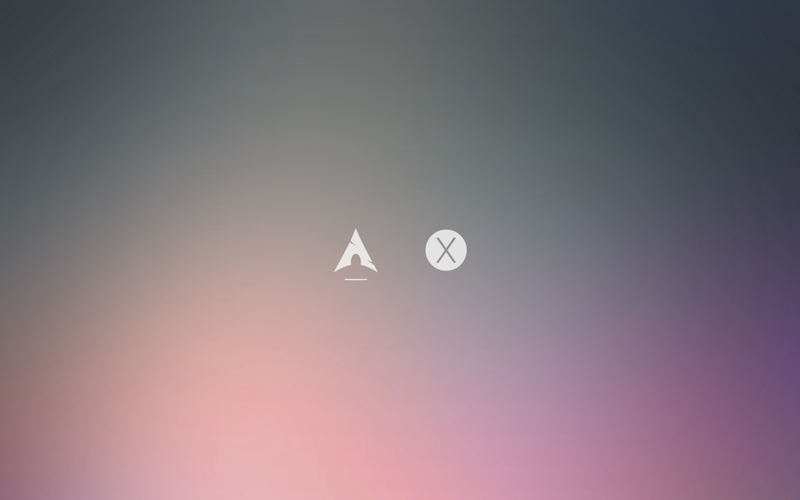 I install Ubuntu GNOME (mount point: / ) into /dev/sda5. I remember to give mount points to /work (ext4) and /storage (NTFS) like mentioned in the 2.3 section of this article. Be careful not to mark them as to be formatted. The Swap partition gets automatically recognized, no need to worry about that. Weird USB stick error. It happened after Ubuntu GNOME installation had been successfully finished, but the computer refused to reboot. 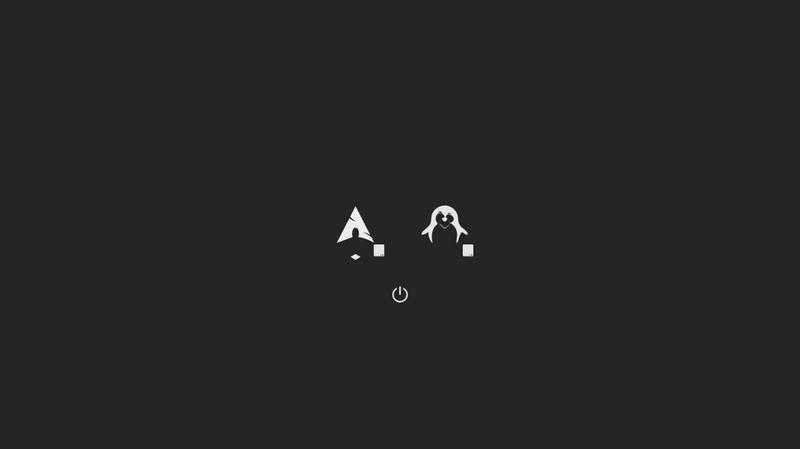 When the Ubuntu GNOME installation was finished and it was time to reboot — suddenly this appeared (some error about the USB stick) and didn’t go away. 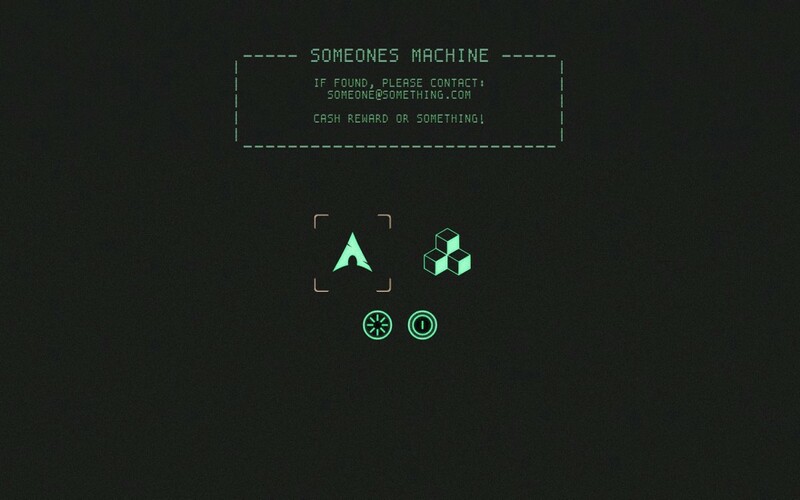 I was forced to press the reset button on the computer. However, Ubuntu GNOME was installed successfully without further problems. 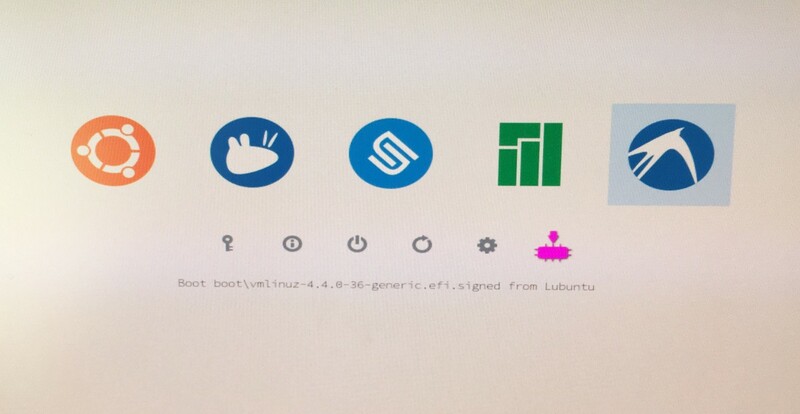 Choosing Xubuntu in Grub boot menu. It’s confusingly named as Ubuntu. 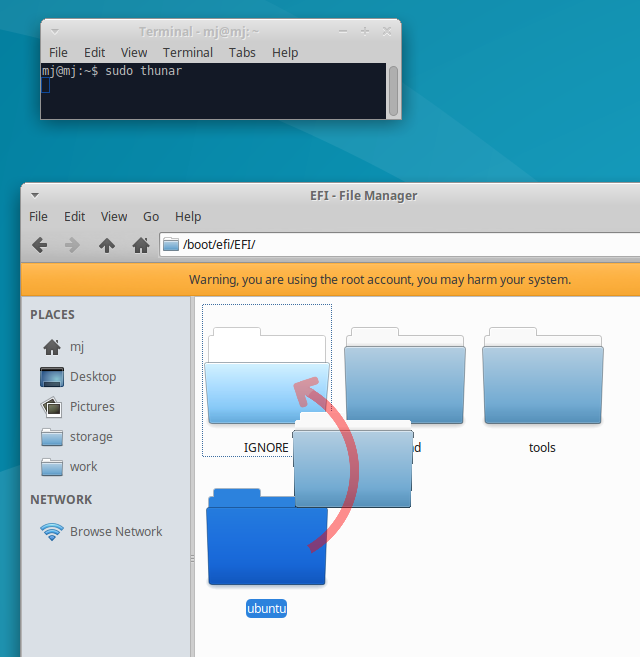 And go to /boot/efi/EFI to move the ‘ubuntu’ folder into the IGNORE folder. I choose to just overwrite the files in the IGNORE folder — because they seem to be identical (exactly same sizes). Manjaro has many installer choices, I like the Calamares one (best to view large amount of partitions when installing). 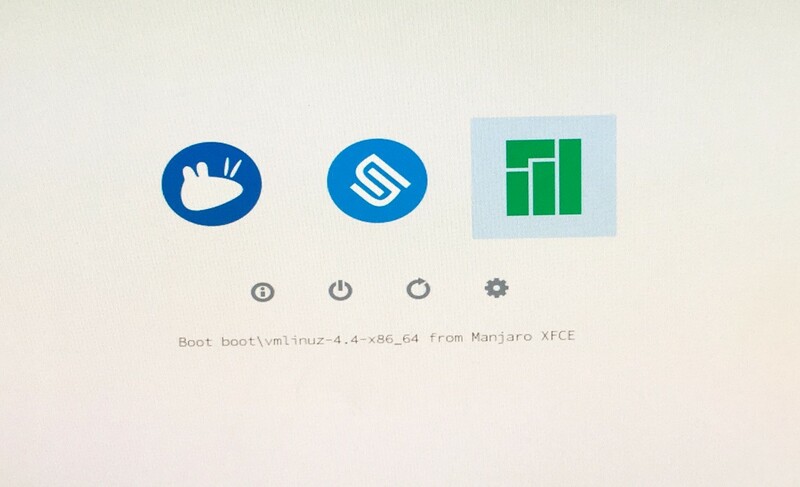 I install Manjaro XFCE to /dev/sda6 partition. And once again, I remember to give mount points to /work (ext4) and /storage (NTFS) and to NOT format them. And, the Swap partition gets automatically recognized again. Mount points also to /work (ext4) and /storage (NTFS), as usual. On my way to the Xubuntu (/dev/sda4) option after installing Lubuntu. It’s still confusingly named as Ubuntu. I install Kubuntu ( / ) to /dev/sda8. Mount points also to /work (ext4) and /storage (NTFS), again. Then I install windows 7 to the partition 13. 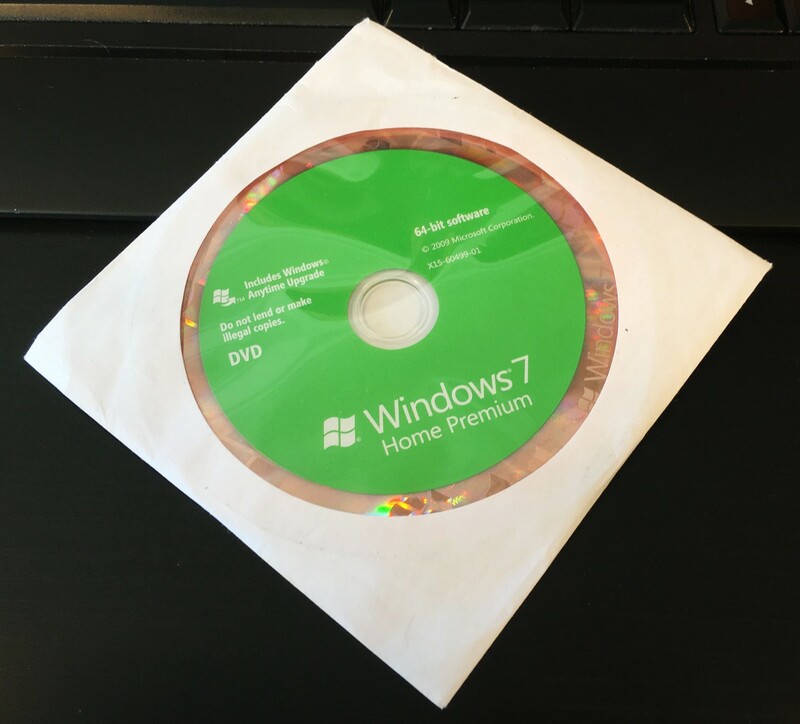 If you need to get the Windows 7 Service Pack 1, like I did (in order to play Steam games), they’ve really seen effort to hide it here and the correct file you want to download (for Windows 7 64-bit) after pressing the red download button is named: windows6.1-KB976932-X64.exe — very convenient, eh? It’s also a good idea to install the free Microsoft Security Essentials. 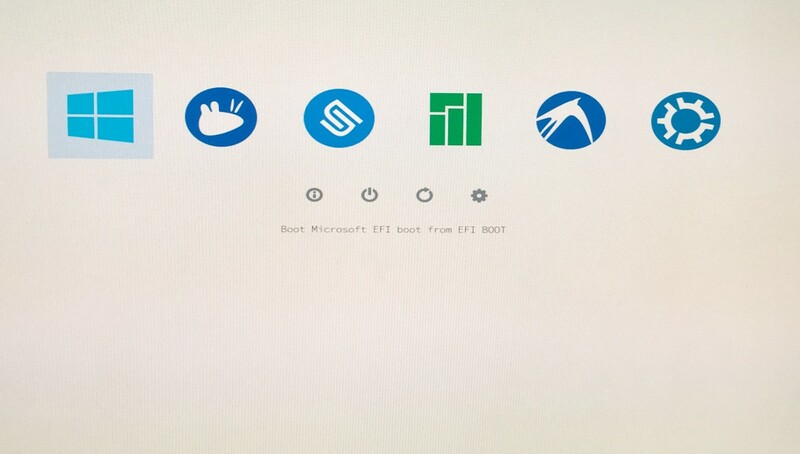 After installing Windows, it might seem like it has done something to the boot managers, because it now boots straight into Windows and you can’t see either the old Grub boot manager or Refind at all. Clean boot manager once again! This is totally optional, but it’s handy to have a USB Refind rescue stick for any distro hopper. 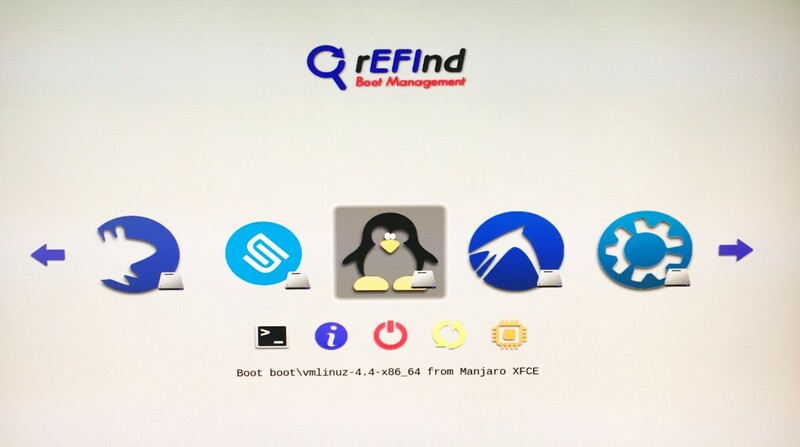 There can be times when you need to open the Refind boot manager menu if something has happened to the original one. You can download the Refind USB flash drive image file from this page or by just clicking here (version 0.10.4). In Windows you can use this utility. It looks awful, but can be a savior. From there you can easily go back to Xubuntu for example to install the Refind .deb installer again in order to recover things. For the last little tweak, I went to GParted and it seemed the Labels of the partitions had been blanked during the distro installations. So, I went and put labels on them again. /work and /storage partitions needed to be unmounted (right-click > unmount) before I could label them. Xubuntu couldn’t be unmounted because that’s the distro we were using, so I labeled Xubuntu in GParted in Manjaro later. There might be more sensible way of doing all of this, but so far this is the best method I’ve come up with for myself. I will be updating this article later when I become more knowledgeable of installing different distros. 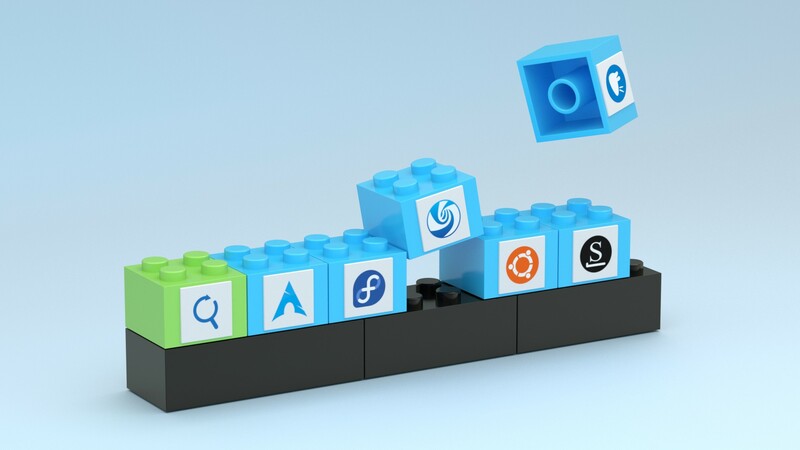 Every time I switch to a new distro, this article serves as a good reminder for me how easily I can swap a random OS to another like OpenSUSE, CentOS, Solus, Deepin, Antergos, KaOS, ChaletOS, KDE Neon, CrunchBang++, Archbang, Apricity OS, VeltOS, Ubuntu Budgie, Linux Mint or Endless OS, for example. Not to mention Lakka, SteamOS or OSMC for the media center computer (OSMC even allows running a SSH server on the background with irssi IRC client open in screen that you can connect to from your phone from anywhere. Although I prefer Discord for chatting (both in desktop and mobile) nowadays. I can of course write a separate article about irssi IRC and OSMC if there’s any demand for it). In future, I might also try the Plasma Mobile, Ubuntu Phone or Sailfish OS for the mobile phone or tablet. I keep trying and testing until I find my next favorite. Alternatively, you can even install Mac OS X on your PC, if you so wish. 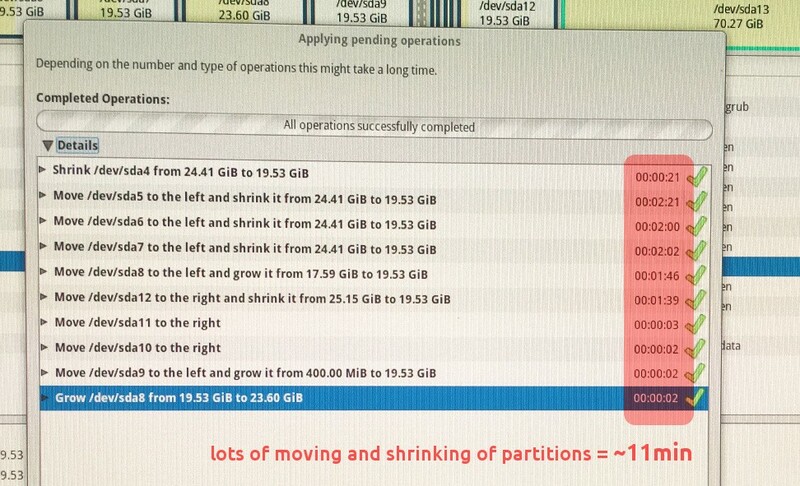 Every now and then I keep re-sizing the partitions if I have run out of space on one or just for the sake of testing. It only takes a couple of minutes to perform the resizing. 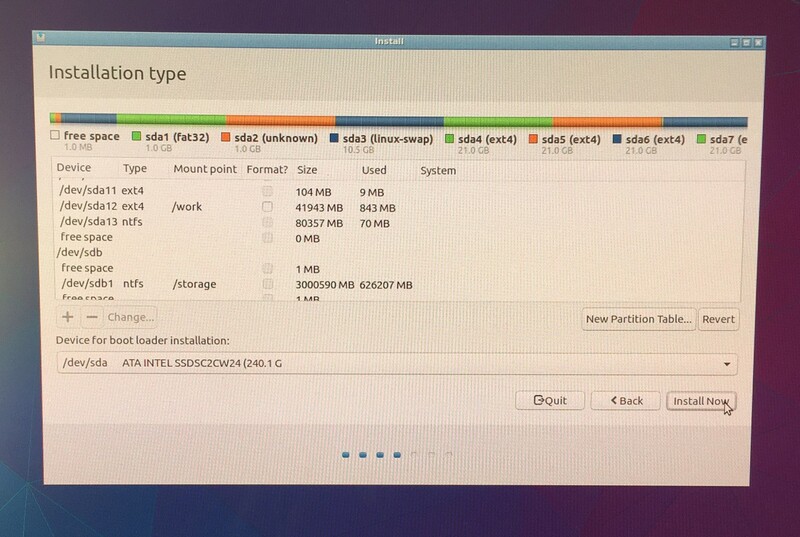 You can’t resize a partition you’re currently using, so boot from a distro whose partition you’re not going to be modifying or boot from the Xubuntu USB stick, for example, and pick the ‘Try Xubuntu without installing’ option and open GParted there. 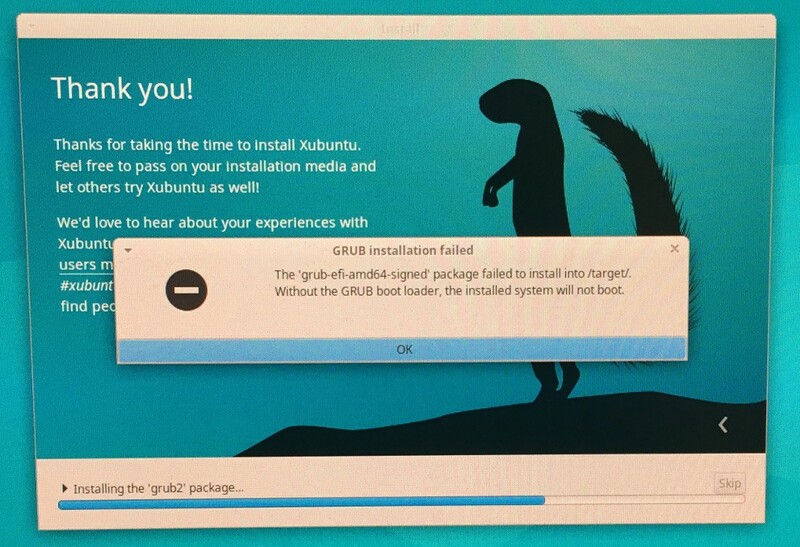 During tweaking the partitions, GParted warns about “Moving a partition might cause your operating system to fail to boot”. I can’t remember a single occasion where this would’ve resulted in an unbootable system for me. I used to fear doing this but not anymore. 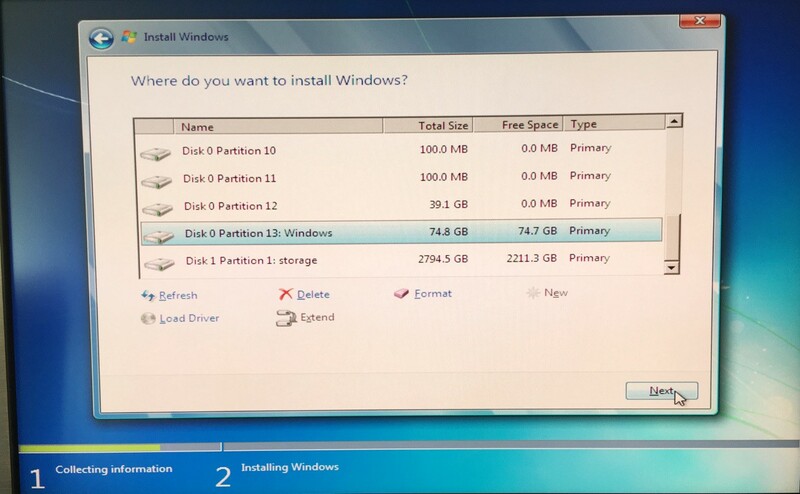 I just make sure not to delete or create new partitions in the middle of the partition array in order to keep the partition numbering correct. After that all the systems still boot nicely. Here are some notes from my earlier distro experiments, like installing OpenSUSE or Deepin. 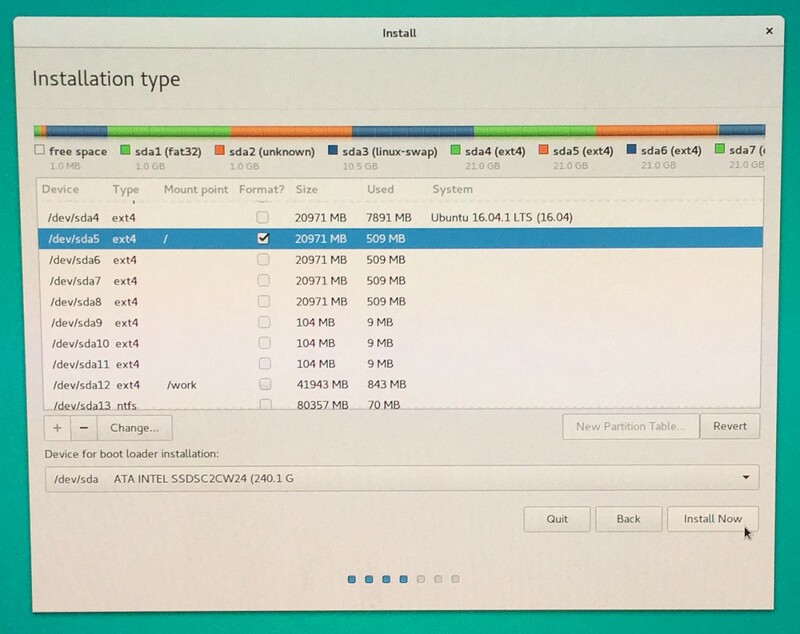 It might make sense to install OpenSUSE on an EXT4 partition first if you’re only testing it. By default it recommends BTRFS file system instead of EXT4 which seemed to make all kinds of volumes and subvolumes that probably are the ‘right’ way of installing OpenSUSE — but a bit too confusing for a person/distrohopper coming from Ubuntu background. pressing F2 again in the boot option allows you to put the command nomodeset after the whole boot command (or replace quiet splash with it). This lets you boot the OS without display drivers (or something along those lines) and then you can install the drivers in peace and get the OS to work normally. With OpenSUSE, I continued the tradition of cleaning Refind by moving the individual .efi files (you can read the file name in the boot manager) into some IGNORE folders inside the bootable options’ directories. It’s easy to move them back in case you cleaned a bit too much. Once I was told that “The way you’re booting is actually the EFI stub loader from the kernel. Not all distros come with it automatically. You need the EFI stub loader for this to work.” — Well, so far all of the distros I have tried have included this, so, it is going to be a good time to update this article when I encounter a distro that hasn’t got it. 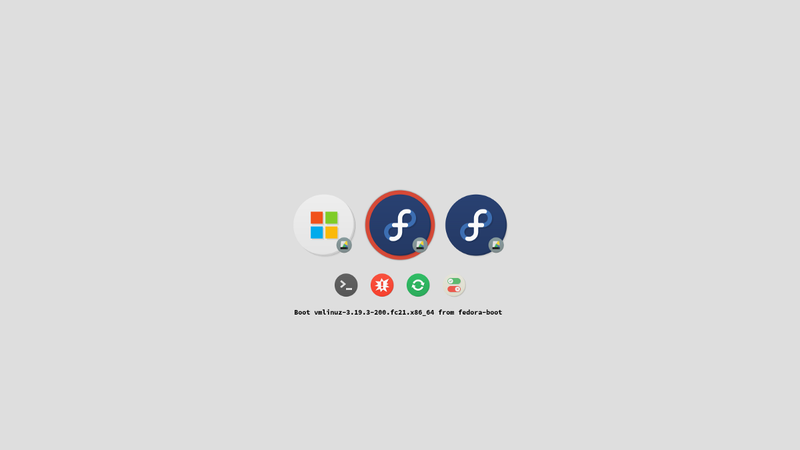 More about my current favorite distros can be found in this article. Feel free to leave a comment below, I would really appreciate that. Especially on your experiences with boot managers and how you manage them when you want to install a new distro. If you like more of this kind of geeky articles from digital artists, I really enjoy the ones written by David Revoy. By the way, just a random observation, if you use Chrome or Chromium, try this extension and put these settings in order to feel like 1000% speed gain in your web browsing experience. Whee! Also, you can use Ctrl+L or Alt+D to instantly go to the address bar of your internet browser. And also to the location bar in many file managers.